If you’re looking to take a well deserved holiday at Pestana Bazaruto you’ve chosen well. 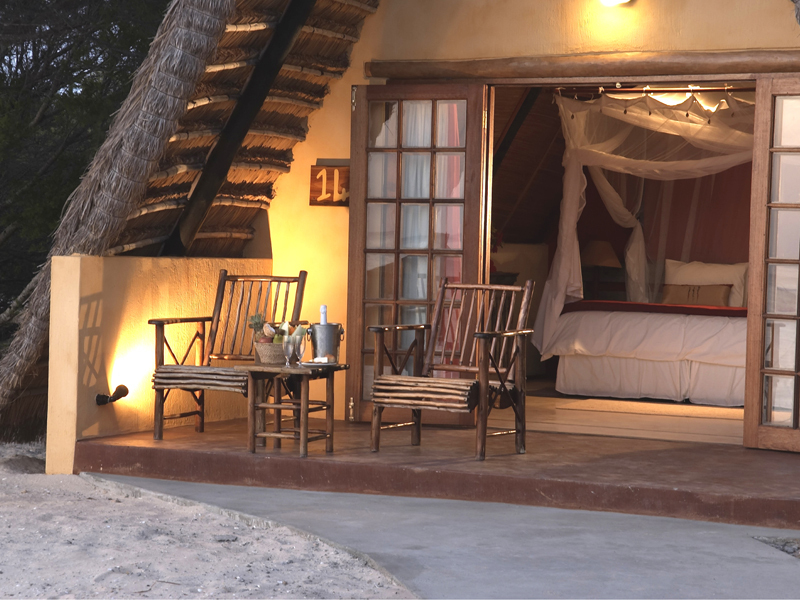 This fine luxury lodge resort, with its stunning beachfront location, is one of the best on Mozambique’s premier holiday island, Bazaruto Island, and offers a fabulous combination of superb accommodation, great weather and fantastic beaches. Add the fact that, as the leading name in Mozambique travel we can promise you access to the very best special package deals and guaranteed lowest prices on holidays to Mozambique, and you have even more reason to go ahead and book that dream break on this most spectacular of paradise islands. The Bazaruto Archipelago is regarded as the most wonderful of the Mozambique island chains, and Bazaruto Island itself is the jewel in the crown. At Pestana Bazaruto you will find the atmosphere is relaxed and friendly, and with none of the excessive crowding you find in countries such as Zanzibar and Mauritius. Indeed, why would you choose to go there when, for the same price, you can enjoy a stunning location, complete seclusion and fabulous weather in a genuinely beautiful and exclusive spot, with superbly furnished luxurious accommodation thrown in on Bazaruto Island? If you want the easiest and most cost-effective way of booking your Pestana Bazaruto holiday you’ve found it! We’ve been sending holidaymakers to Mozambique and the islands for 20 years and are the most experienced name in the business. With a range of package deals and special offers, we can help you find an itinerary that allows you to enjoy the very best of this wonderful country, and at prices to suit all budgets. With our expertise in booking Bazaruto holidays we can get you there as quickly and efficiently as possible, so you don’t need to go elsewhere to arrange your dream holiday. With a team of expert consultants – who have travelled to the lodges and know Pestana Bazaruto inside and out – on hand to help you book your Mozambique accommodation we are sure we can give you the best possible service. We will make sure you get a holiday that includes everything you need within your budget, and in one of the most impressive luxury resorts on this most spectacular of islands. Come on, you know that you and your loved ones deserve a holiday in such an exotic and exclusive place, so get in touch now, and one of our consultants will call you back surely to help you book the holiday of a lifetime.